Pantelis G. Zografos was born in the port town of Kymi on the Island of Evvia, Greece in 1878. His father; George Zografos and his grandfather Pantoleon Zografos were both iconographers who sometimes followed work to different areas of Greece. In 1897 as a young man he returned to Evvia and took a job painting icons in a small church in the village of Oxylithos. As was the custom of the time he boarded with a host family and at lunch time one of the daughters of the family was sent to serve his lunch. The family no doubt saw him as a potential groom for their older daughter , but he has his eye on the younger Kaliopi and they were soon married. During the next decade they had two daughters and three sons. 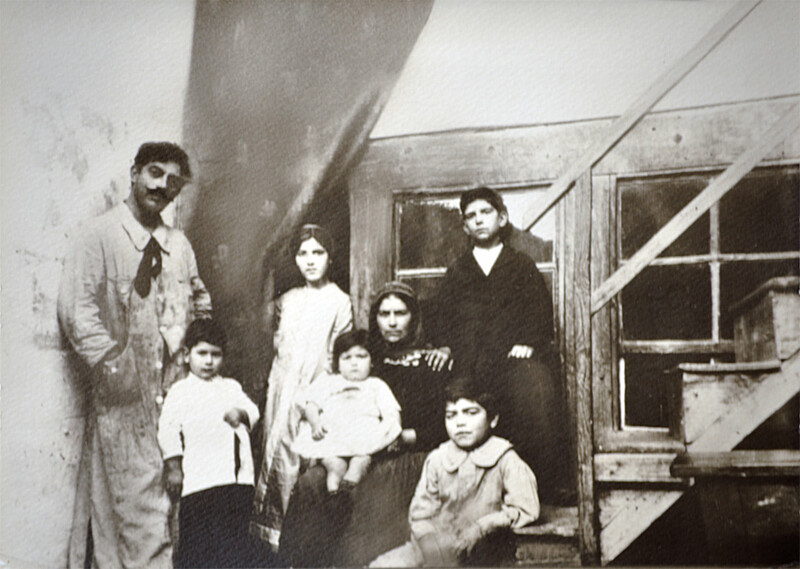 Kaliopi stayed in Oxylithos, raising her five children amongst family while Pantelis continued to work and travel. 1902 finds him in Mount Athos; a Northern peninsula dedicated to monasteries and churches. After a short break with his family he travels to Russia where he studies with world famous teachers of byzantine art. After two years he returns to paint beautiful icons of Saint Barbara, Saint Athanasios and the Last Supper. Around 1912 he travels to Egypt where he has several exhibitions and gives lectures. Between 1920 and 1925 he is appointed as art teacher at the high school of Sparta so that he can also work nearby at the historic ares of Mystras. then in 1926 he is given a possition at the kalambaka high school while he also works at monasteries the Meteora region. In 1927 he takes an appointment at City College, New York City as professor of Byzantine art and culture and paints, writes freelance articles and exhibits his work. He returns to Greece in 1933 where he paints for collectors as well as working to produce frescoes for churches. In 1935 while working on a high scaffold in the church of St Marina in Theseon, Athens he had a stoke and hours later he died at the age of 57. Biography is for historic interest only. We do not have any of his work.